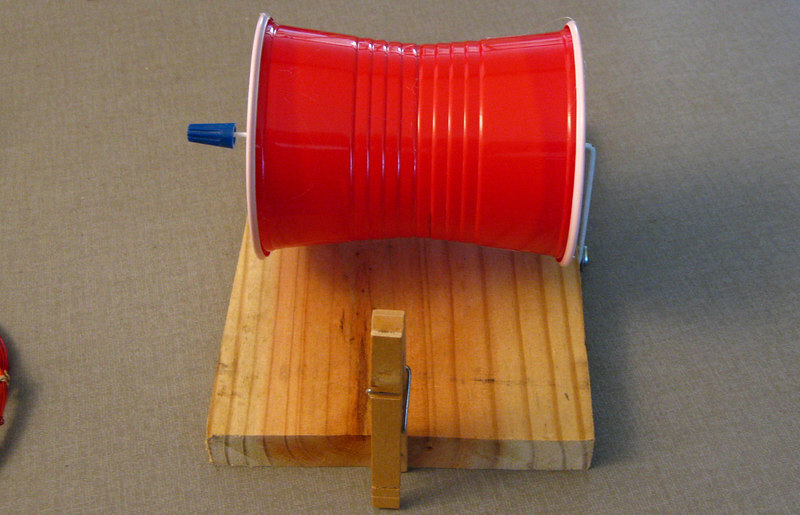 wind the coil. 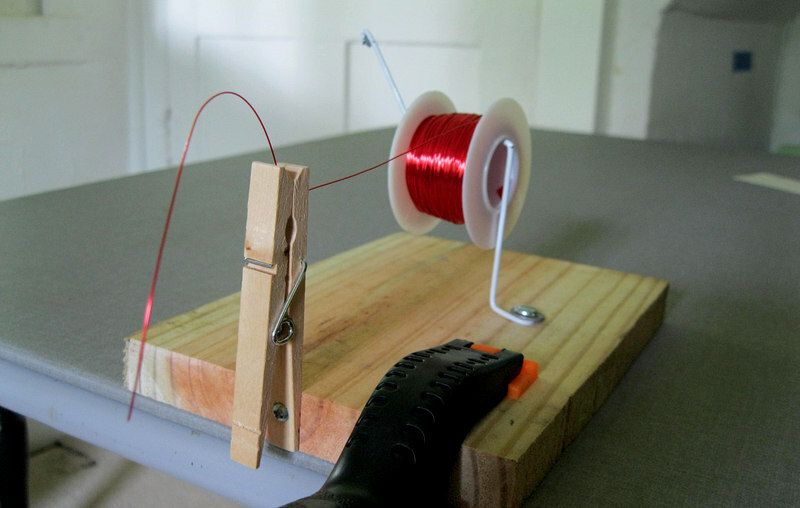 A small hole is drilled in the back of the clothespin, then the wire is drawn through the "jaw". 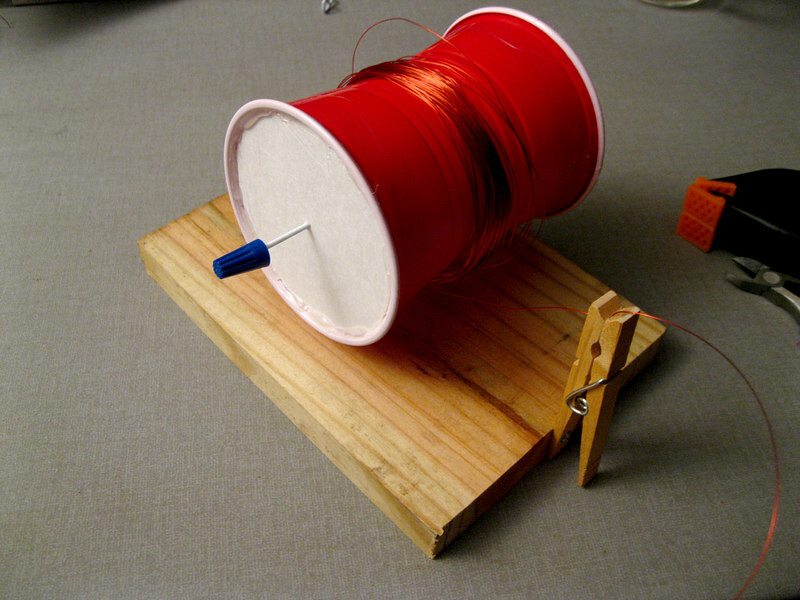 But what if the wire isn't on a spool? A loose hank of wire can be very difficult to work with. 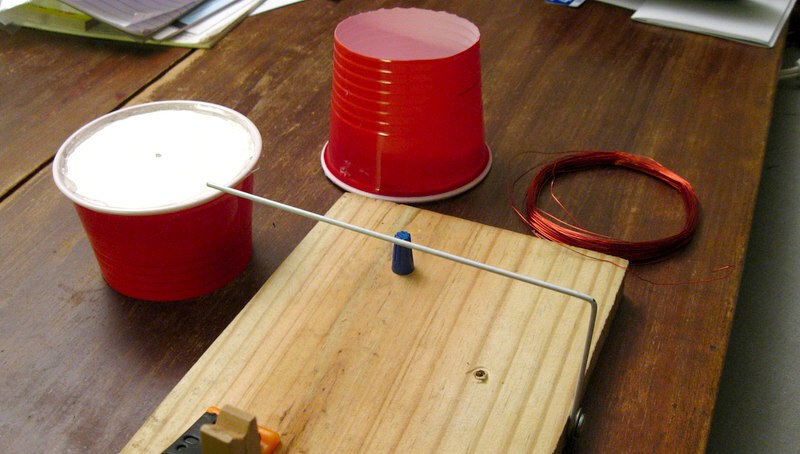 To use a hank of wire, the jig can be modified using two plastic party cups and some posterboard or cardboard. A compass and glue gun are required. A wire nut is optional. The cost is almost nothing. has the benefit of poking a hole in the exact center. 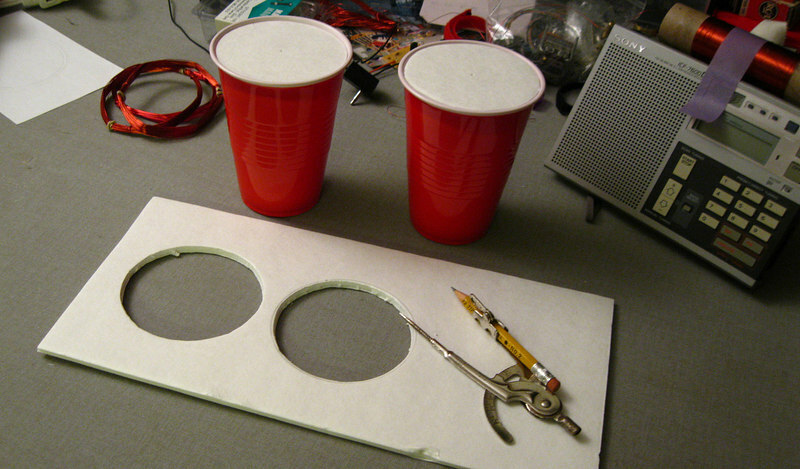 Cut them out and hot glue them to the tops of the cups. 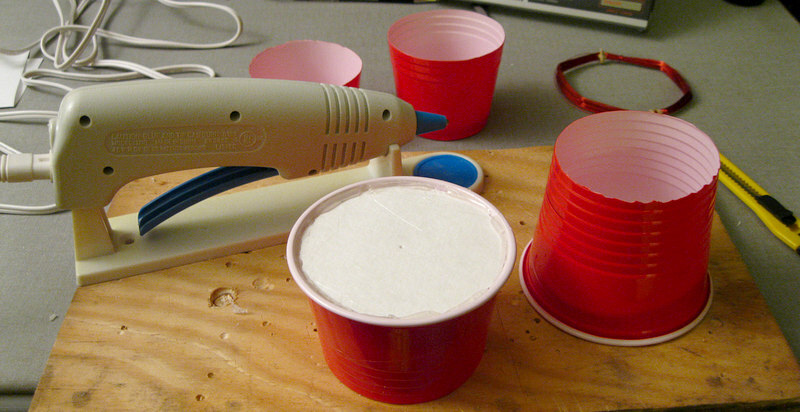 Slice the cups in half with a utility knife. One cup must be longer than the other because they are going to fit together. Slide one cup onto the coat hanger, then the other. The cups will fit snuggly together. Give it a spin! NOICE! 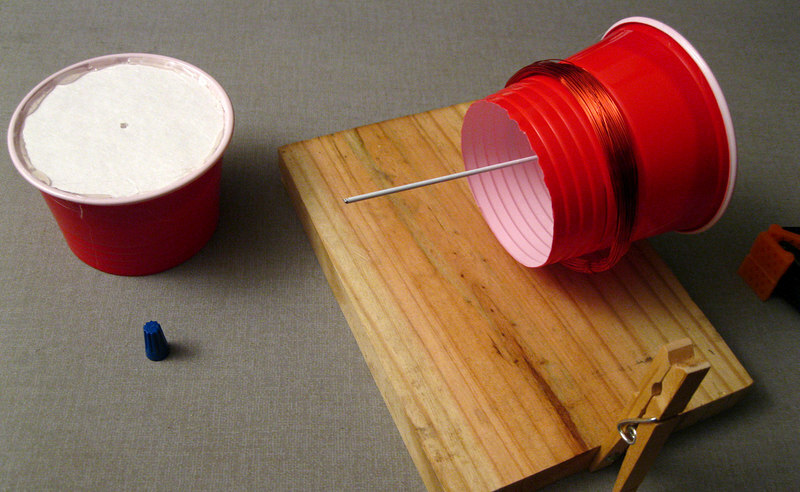 To use: Slide one cup onto the coat hanger, add the hank of wire, slide on the second cup and push them together. Very important! Make sure you have the outer winding of the hank. Place it in the clothespin and you're good to go. After a hank of wire that came in a kit was ruined (by me) I came up with this. Not only does it work perfectly, I was able to save the extra wire for some future use.